Kakarla Tyagabrahmam (1767 - 1847), who came to be known as Tyagaraja, was the only one of the trio whose roots are in Andhra Pradesh. Tyagaraja is most famous for his Pancharatna kritis (the five gems). However, his outstanding contribution was the introduction of the sangati - a set of variations on a theme - in the kriti format. Kritis are usually poems set to music. Tyagaraja composed about 24,000 songs, most of them written in his mother tongue Telugu, but a few in Sanskrit, including the masterpiece Jagadanandakaraka that describes Lord Rama with 108 names. 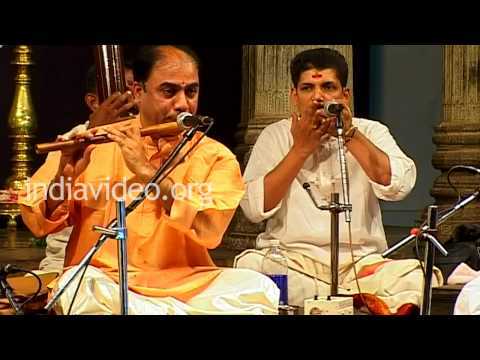 His illustrious musical career was also marked by the composition of many new ragas. The 700-odd known kritis of Tyagaraja feature 212 ragas; of these, 121 ragas have only one composition each. Though he was a scholar well-versed in Sanskrit, an extraordinary lyricist and a matchless composer, he looked upon music only as a means and a path to become one with God. In the early stages of his career, he even declined an invitation by his king to become the court singer. The king had been informed of Tyagaraja’s prodigious talent by his guru, Sonti Venkataramanayya, who was highly impressed by the magnificent and ever-green Endaro Mahaanubhavulu - the fifth of the Pancharatna kritis - that the young composer sang for him at his house. Tyagaraja’s reaction to the royal invitation and the strong disapproval of his brother of his refusal to grab the golden opportunity was the spontaneously composed and lovely Nidhi Chala Sukhama (Does wealth bring happiness?). Thus, his songs, which were outpourings from the depths of his soul, echo with unblemished sincerity and uncorrupted reverence for the Almighty. Muthuswami Dikshitar (1775 – 1835), known by his signature name of Guruguha, is noted for the integration of Hindustani themes, for his gamakas - ornamentation of the ragas, his group kritis or group compositions on the planets and on the goddess, his preferred deity, and his 40 songs on Western tunes. In his lifetime, Dikshitar created more than 450 compositions, mostly on the Goddess and mostly in Sanskrit and in the kriti format, where poetry is set to music. 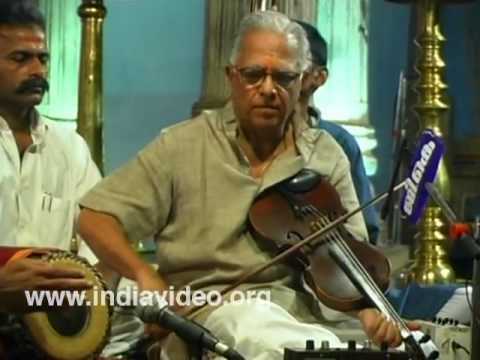 He was the only composer who had kritis in all the seven basic talas of the Carnatic scheme. 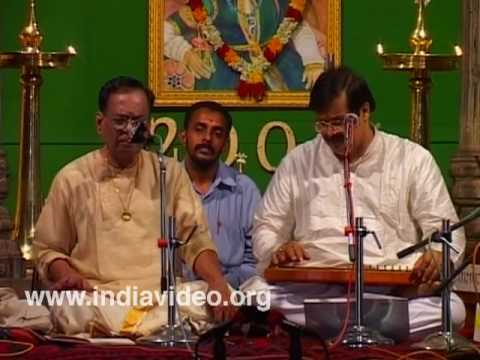 He also composed in all the 72 melakartha ragas, in his asampurna mela scheme. 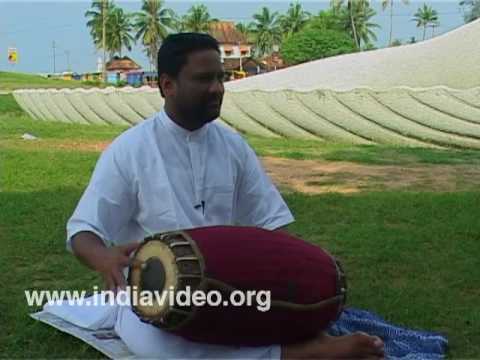 His famous group compositions are the Navagraha Kirtanas and the Navavarna kirtanas. While he was still in his teens, his father sent him on pilgrimage with a wandering monk named Chidambaranatha Yogi who became Dikshitar’s first guru. His wanderings alongside this enlightened teacher gave him a broad outlook that is reflected in his work. It was also during this time that he came into contact with Hindustani music, which became a profound influence on his music. 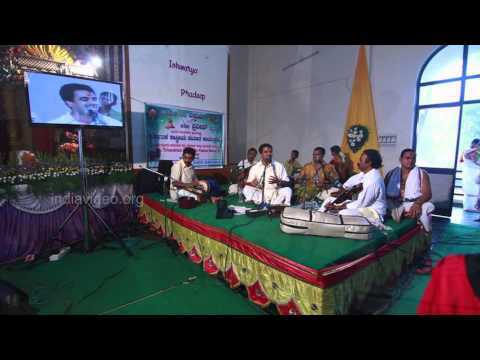 Many of Dikshitar’s songs talk of the places he visited, the history of the temples, the customs and traditions followed and so on and have thus become valuable sources of historical information. The Tanjore Quartet, revered as the prime composers of music for the classical dance form of Bharatanatyam, was taught music by Dikshitar. 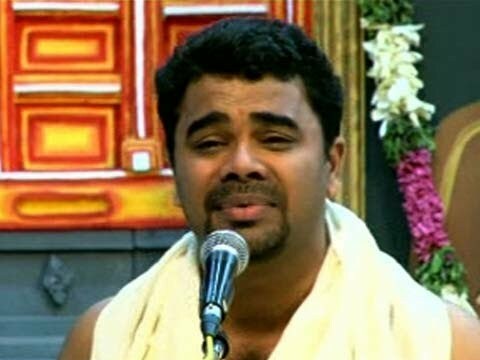 Venkata Subramanian ( 1762 to 1827), known to the music world as Shyama Shastri, was a priest in a Tamilian Brahmin community. He is credited with about 300 songs, of which only about 60 - 70 are available today. Shyama Shastri is said to be the architect of the swarajati musical form. 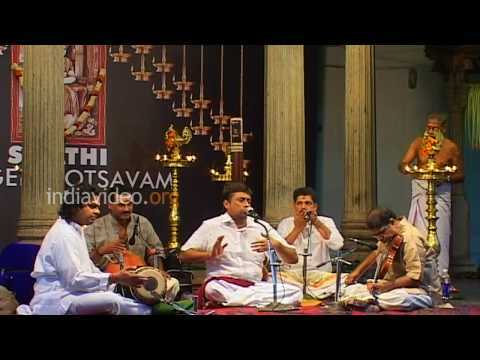 The Ratnathrayam is the name given to a set of three unparalleled swarajatis by Shastri. Another famous work by him is the nine kritis known as the Navaratnamalika (the garland of nine gems) in praise of Goddess Meenakshi of Madhura. 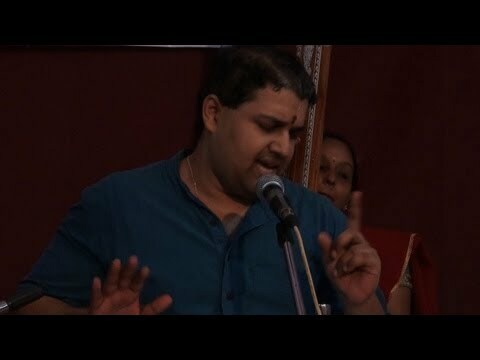 The most outstanding feature of his work is his expert employment of rhythm to create magic in his music. 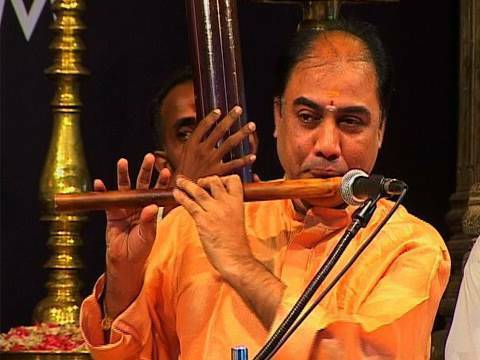 Many a time, he has made use of five-syllabic words like sarasamukhi, varamosagu and so on that correspond to a rhythmic musical phrase. He specialized in the Misra Chapu tala, where he not only used the normal pattern (3+4), but also the reverse (4+3), called the Viloma Chapu. In the use of swarakshara, that is when both the notes and the words have identical syllables, he was an absolute genius . 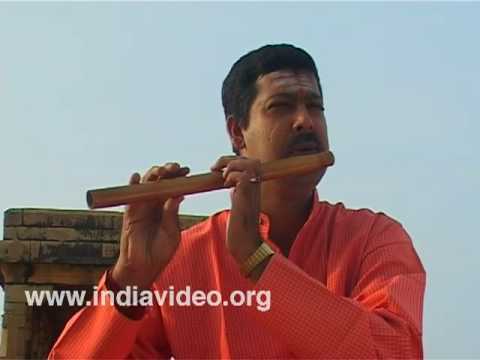 His favourite raga seems to be the Anandabhairavi, an old raga used in folk music, which acquired special status after he used it for some of his masterpieces.